Open an employee's profile and scroll to their "Training" section. You will see a red warning if they have any incomplete training. To mark a training complete, press the "+ Add" button. You can also download an employee's completions as an Excel spreadsheet by pressing the "Download" button. If you associated a "Lesson" with a training, then the employee can press the open task to enter the lesson. 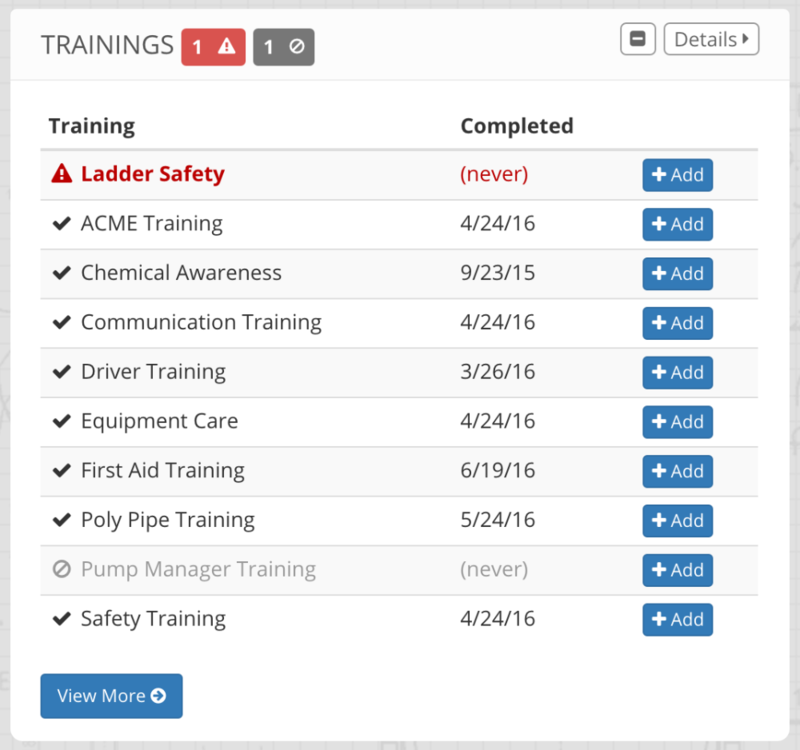 Employees can also complete a lesson at any time by by viewing their profile and clicking the "Learn" button next to the training. Once the lesson is complete, the training will be marked complete, the open task will be removed, and a certificate will be attached to their profile. You can also upload a spreadsheet of completed trainings. This can be useful for historic data or if there is a large group training that has been completed. For more information, visit the Dataloading Completed Training page.